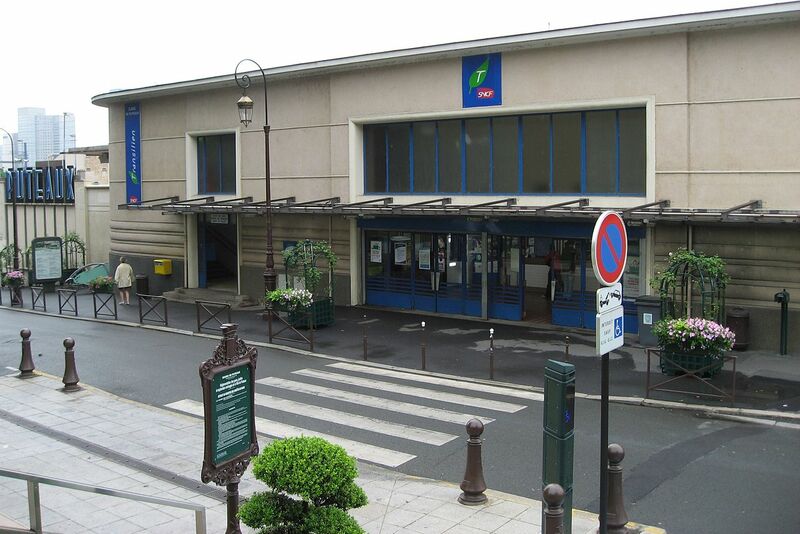 The train station Puteaux is a French railway station located in the town of Puteaux, in the department: Hauts-de-Seine in the region: Ile-de-France. It is in the Ile-de-France tarification zone 3. Its latitude and longitude geographic coordinates are 48° 53′ 01″ North, 2° 14′ 01″ East and it has an altitude of 62 m.
It is on the train lines Paris-Saint-Lazare – Versailles-Rive-Droite and Puteaux <=> Issy-Plaine with 2 plus 2pour le tramway tracks and 1 central plus 2 side platforms serving 2 785 338 (2014) passengers per year. Train travel offers you downtown to downtown comfortable and efficient rail service. No hassle with early arrivals, delays, and luggage security checks. You can take unlimited weight and reasonably bulky items on board. European rail is the way to travel and really see the French countryside. 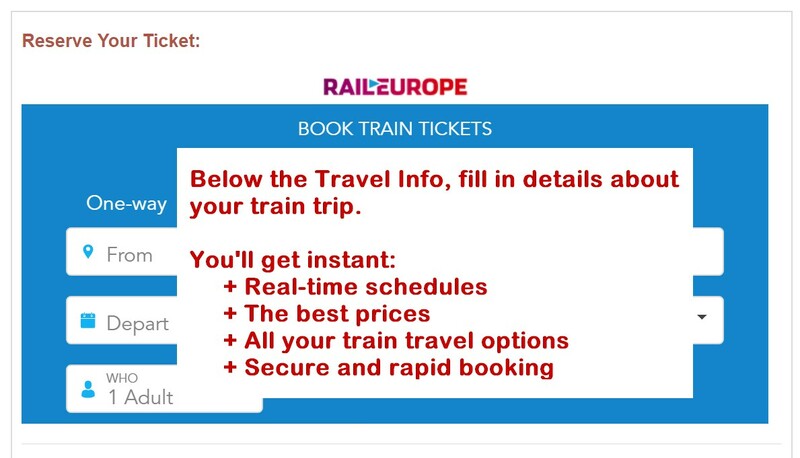 If you are traveling by train on 3 different days or more in one or a few European countries then buying a European Rail Pass could be to your budgetary advantage compared to point-to-point tickets. Click below to see Rail Pass options. For European citizens use the point-to-point links above, the Rail Pass access is on the same page. Click on this banner 90 days before you travel for the most savings and peace of mind. Transilien Acces Plus will accompany you to the platform and assist you boarding and alighting from the train. They can install an access device for wheelchairs if necessary. You can travel every day, in all trains, between two stations open to this service. Internet: Create or use your account and declare your claim This page is in French but is accessible from anywhere ... especially when you're visiting France and Europe. A national database registers all lost and found objects in real time. Search for your object will continue for one monnth. There's a charge of 5/10 Euros, depending on object's value, for restitution of an item. Time: Mondays to Fridays: 6h35 à 18h35 Saturdays: 9h > 18h30 Sundays and Holidays: 10h20 > 19h30.